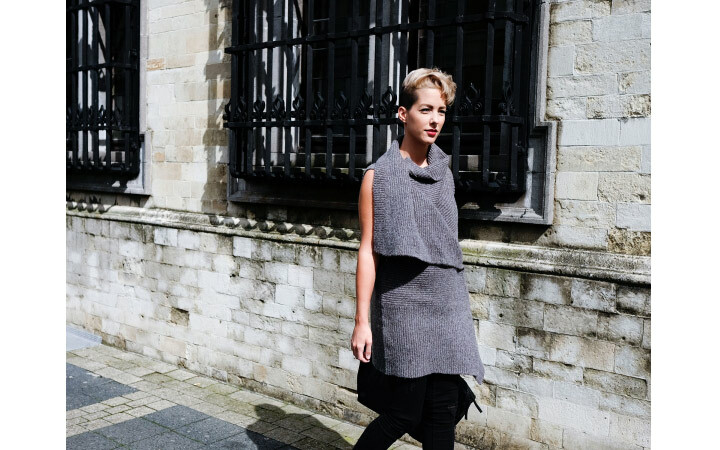 Cindy Van Dyck is a 22 year old fashion blogger who is blogging from Mechelen, Antwerp in Belgium. She started working for the premium fashion retailer Zara when she was 18, and is now the Benelux Area Merchandiser, a testament to her strong styling sensibilities. When she isn’t styling for Zara, she spends her free time writing about all things fashion on her blog, The After Work Blog. Since she first started blogging on Your Daily Dose of Fashion in 2009 (now replaced by her current blog) she has become a well-known fashion source in the blogosphere, averaging about 700 viewers per day. Cindy’s first blog was titled Your Daily Dose of Fashion, and over those five years, her fan base grew to 700 unique readers a day. Due to her busy working schedule, however, she was unable to blog as much and thus The After Work Blog was born. With her strong aesthetic sensibilities, and a genuine appreciation for her loyal followers, its easy to see how Cindy has become a fashion favorite in the blogging world. We at Fashion One love her cool demeanor and effortless style. Want to know more about Cindy? Read below for 5 facts with this Belgium blogger! 1. I’m addicted to black. 2. I decided to shave my hear a year and a half ago and still don't regret it. 3. I have 5 tattoos. 4. I'm not a typical girly-girl. I love the minimalistic looks with a touch of sport/comfortable items. 5. Most of the time I'm wearing black and white with an eyecatcher.